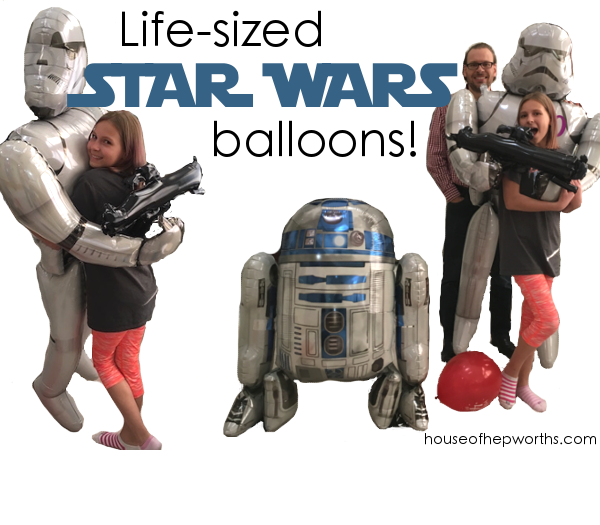 Life-sized STAR WARS balloons! 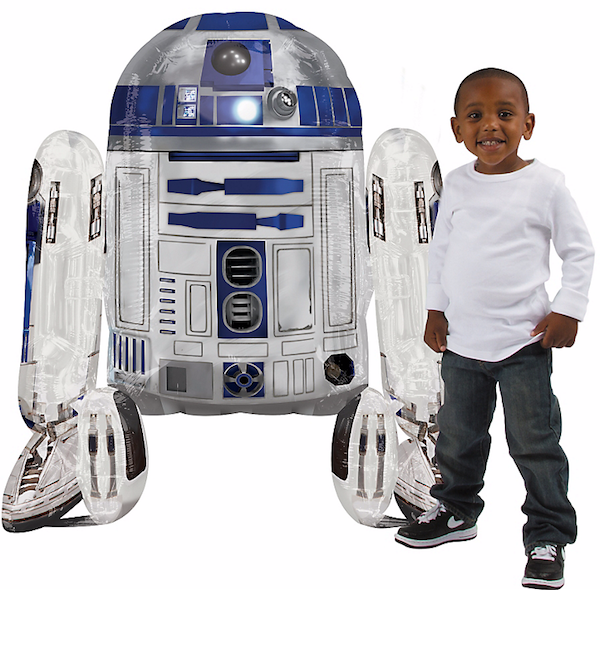 Coolest balloons ever! Happy Birthday, Ben! 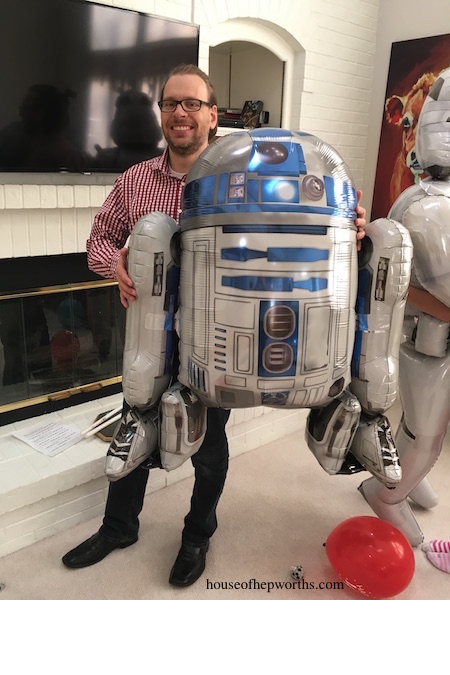 Ben celebrated the big 4-0 on May 4th! Yup, Star Wars day. May the forth be with you. 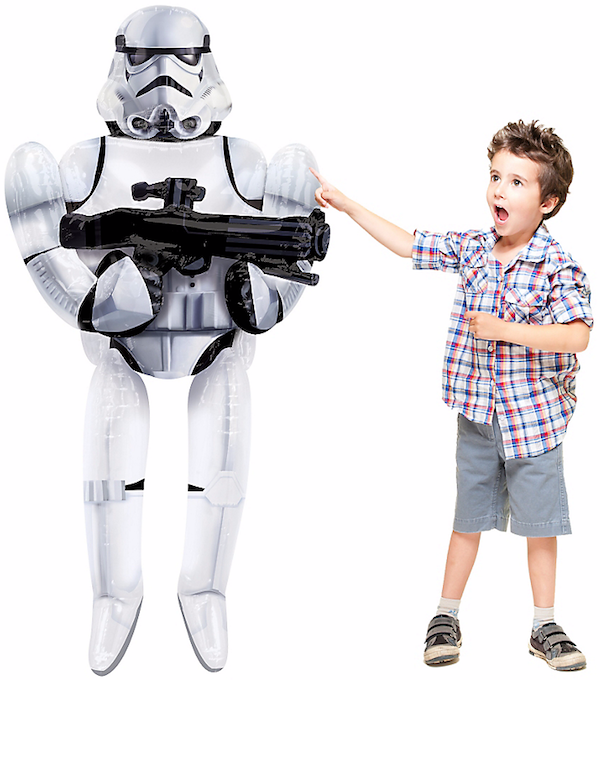 hehe When I went to party city to purchase some fun decorations for a party for him, I stumbled upon the BEST decorations ever – JUMBO STAR WARS BALLOONS. I seriously squealed out loud. I mean, I’ve literally never seen jumbo balloons like this before. Maybe I live in under a rock, but seeing these balloons made me so excited. They are huge! I couldn’t decide between the Stormtrooper or R2D2 so I splurged and bought both. They were a huge hit! We had these balloons hanging around for about a month before they popped. I’m sure they would have lasted even longer if we didn’t have two teenagers and all their friends horsing around with the balloons and sumo wrestling with them! These life-sized balloons are filled with helium, but they have weights on their feet so they levitate around the room. Having a fan on makes them almost “walk” around a room. 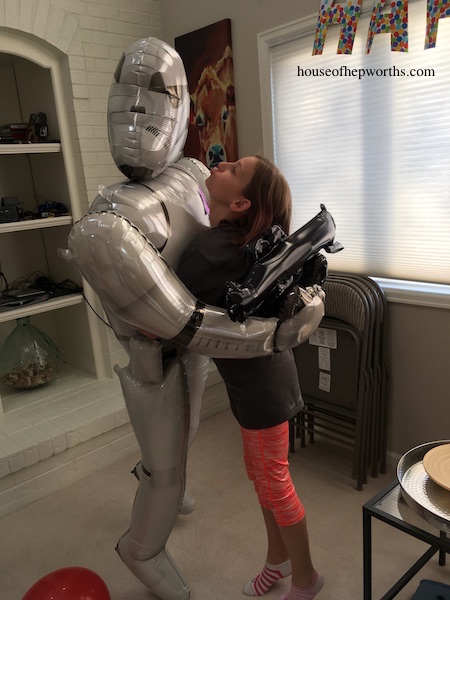 I think every teenager that came over to our house during the last month has a picture with the Stormtrooper. I mean, who wouldn’t want to give this big guy a hug? I like to think it’s actually Luke Skywalker dressed up while trying to save Leia from the evil Darth Vader. 😉 I mean, he must be Luke and not a real stormtrooper because he was so nice to us. I bought these balloons at Party City for about $20 each, including the helium. I usually don’t splurge so much on something like this, but seriously, it’s Star Wars! AND Ben’s 40th birthday. AND AND AND he was born the exact year the first movie came out in 1977, and Ben was born in 1977!). The balloons seemed like a no-brainer. Seriously, who knew? I had no idea! You can order them from Amazon, or just head to Party City and pick them up. (This post is not sponsored by Party City). Ben’s party was a huge hit because Ben is awesome, but the balloons really helped to add to the ambiance! 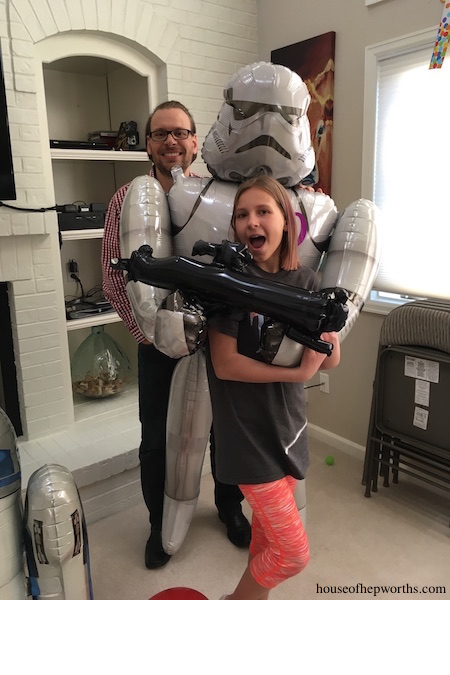 We are huge Star Wars Fans around here! 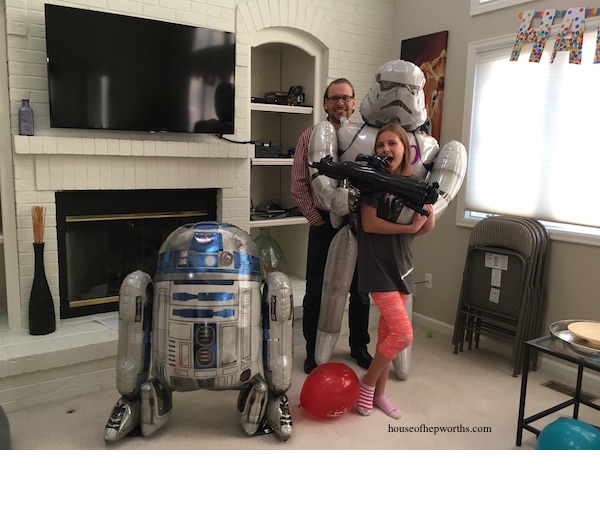 Here are a few more Star Wars posts here at House of Hepworths. Thanks for reading! Have a wonderful week! Recipe: The most amazing CHICKEN SALAD! Get the latest via email! 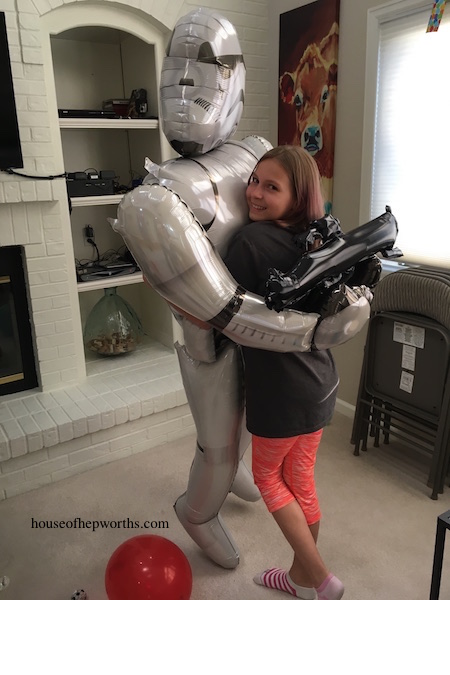 Welcome to House of Hepworths! Our mission is to help you DIY your own home, one awesome project at a time. 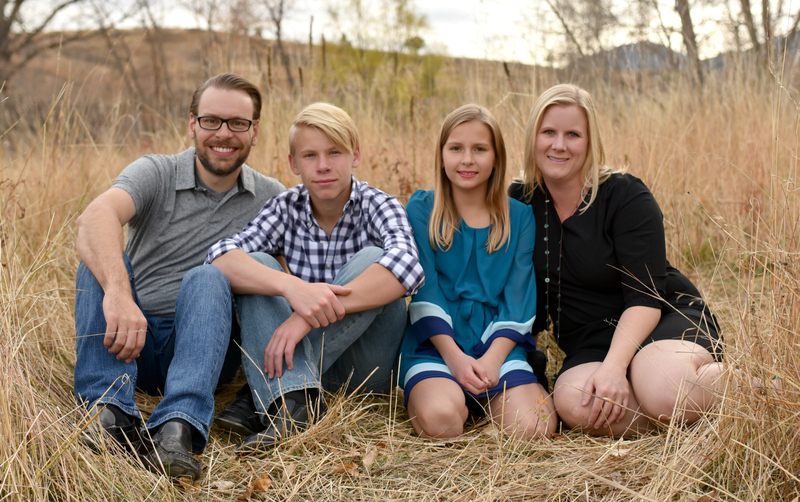 Learn all about us by clicking here.